Matter, quantities, measuring devices and the International System of Units. Mass, volume, density and temperature. Pure substances, homogeneous mixtures and heterogeneous mixtures. Separation of mixtures: sieving, decanting, filtering and distilling. The particle theory. Atoms, molecules and crystals. Chemical elements. The Periodic Table. Chemical symbols, atomic number, atomic mass. Chemical compounds. Molecular formulas and structural representations of molecules. The properties of solids, liquids and gases explained through the particle theory. The changes of state explained through the particle theory. Expansion and contraction by heat explained through the particle theory. Matter in Chem4kids.States of matter, mixtures, solutions and more. International System of Units (I).Definitions and pronunciation for some of the units of the SI at the Visual Dictionary. International System of Units (II).More definitions and pronunciation for some of the units of the SI at the Visual Dictionary. Measuring devices.Measuring devices of temperature, time, weight, thickness, distance, length and angles in the Visual Dictionary. Units of measurement.Learn the most widely used units (and its abbreviations and equivalences) for area, length, load, mass, speed, time and volume. Chemistry.Images, definitions and pronunciation of matter components, chemical elements and laboratory equipment in the Visual Dictionary. 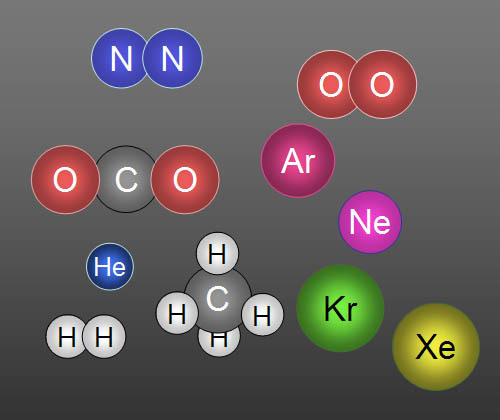 How many protons, neutrons, and electrons are in common elements?Visualize how atoms are related to common objects at Exploring Earth online book. Can you name the elements of the Periodic Table?Test how many names of chemical elements can you remember in 15 minutes. Interactives: The Periodic Table.Excellent advanced lesson on the Periodic Table and the structure of the atoms, with interactive activities. Chemistry games.Eight online games to teach you the chemical elements, periodic table, and more. Periodic Table of the elements (I).A very good Periodic Table to learn about the properties, occurrrence and the applications of every chemical element. Periodic Table of the elements (II).Another Periodic Table with good information about the structure of every chemical element, its name, its discovery and its utility. Periodic Table of the elements (III).In many different languages and with links to the Wikipedia articles on each one of the chemical elements. Periodic Table of the elements in pictures.This one presents, for every element of the Table, a picture of some object or material where the chemical element is present. Just great. The Periodic Table of Videos.Learn about the chemical elements by watching one video for each one of them. Awesome. The chemical elements song.An entertaining way to get to know their very strange names. Examine 3-D models of common molecules.Visualize common molecules at Exploring Earth online book. 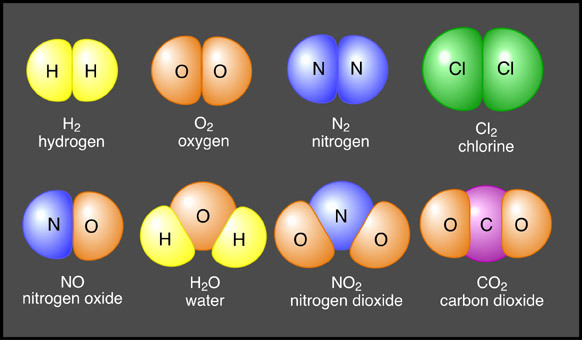 Atoms in Chem4kids.com.Atoms, atomic particles, compounds and more. Build an atom.Build interactively your favourite atom. (You've got one, don't you?). Tip: hit the "Next" button to the bottom, scroll up, and then hit "Enter" in your keyboard consecutively to not no have to scroll vertically anymore. How plastics work.Plastics are everywhere. While you're reading this, there are probably numerous plastic items within your reach (your computer, your pen, your phone). A plastic is any material that can be shaped or molded into any form. Some are naturally occurring, but most are man-made. Learn more about them. How iron and steel work.If you had to name the technologies that had the greatest effect on modern society, the refining of the heavy metal element iron would have to be near the top. Iron makes up a huge array of modern products, especially the carbon-rich one, which we call steel. Learn more. Zoom into steel.View the inner structure of steel, progressively magnified. Zoom into brass.View the inner structure of brass, progressively magnified. Zoom into aluminium.View the inner structure of aluminium, progressively magnified. Zoom into carbon fiber.View the inner structure of carbon fiber, progressively magnified. Zoom into concrete.View the inner structure of concrete, progressively magnified. Zoom into a clay pot.View the inner structure of a clay pot, progressively magnified. Estimated time left for metals.Giant chart showing that a looming future without underground metal reserves is not too far away. With additional charts about the rates of consumption and recycling of many widely used metals. Learn how a "car crusher machine" can help your father to reduce both the volume and the density of his car. Sing and learn the properties of some chief elements. Exhaustive and exhausting, yet funny, recitation of all the know elements to the date of the recording. Learn how matter is made up of molecules built with very different types of smaller particles: the atoms. Learn that atoms are made up of even tinier particles and a lot of empty space. Maybe you thought they weren't moving… but see their dance! These ones move even faster. Learn how are the molecules in a gas, and what can make liquids turn into gases… and viceversa. And now learn that that was because the heat affects the movement of the molecules of the objects. The whole history of physics proves that a new discovery is quite likely lurking at the next decimal place.